Among the realities of modern life is that most of us, at some point, will need to borrow money. Even if all you do is borrow to buy a home, you will still need good credit when the time comes. Additionally, even if you decide that you don’t need to borrow money at all, there are still those who are interested in your credit. Even if you aren’t borrowing, there are some ways that your poor credit might be costing you, from higher insurance rates to problems finding the rental you want. Credit report errors are surprisingly common, and some of them can even impact your credit score in a meaningful way. One of the best ways to improve your credit is to dispute inaccurate information on your credit report. If you find wrong information, write to the credit bureau to have the situation resolved. This is especially important if the inaccurate information is a fraudulent account. Check your credit report for free to find out if your credit score is being impacted by negative items. While you can’t have accurate negative items removed, you can have the errors taken care of, and that can help your credit situation. Your payment history is the most important part of your credit score. If you pay on time, and in full, each time you owe money, this will help you keep your credit in good shape. Even non-credit items should be paid on time. Even though paying the rent or your utilities when you should won’t positively impact your score, realize that paying late can negatively impact it if your laxity is reported. Another important factor is your credit utilization. If you are utilizing a great deal of your debt, it can serve to bring your score down. Pay down some of your debt, and you could see an improvement in your credit score this year. Combine paying down your debt with making your payments on time, and you could see a significant improvement in your credit situation over time. It might be tempting to cut up your credit cards and cancel your accounts, but that might do more harm than good — especially if you haven’t yet paid down your debt significantly. Additionally, the length of your credit history matters, so you could end up causing problems for yourself if you cancel an older account. Canceling your credit cards can be problematic. So, if you want to improve your credit in 2013, you might want to think twice before cutting up your credit cards. Carefully think about your situation, and consider keeping your card accounts open a little while longer. If you are on track with the other aspects of your credit, it make make sense to open a new type of credit account. If you don’t have an installment account, it might make sense to borrow a small amount to pay back over time. Varying your accounts can be beneficial to your credit profile. 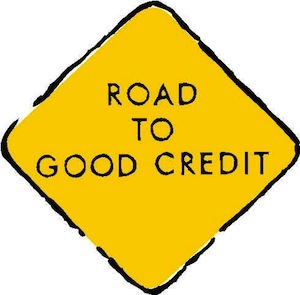 As you work to improve your credit in 2013, it’s important to understand that good credit doesn’t happen overnight. It can take three to six months to see any improvement, and it might take the entire year — or longer — to bring your credit back to respectability if your situation is fairly poor. There are no shortcuts if you want good credit that lasts a long time. Instead, you need to develop solid financial habits, and approach your credit carefully. It’s important to think through your money decisions, and carefully watch out for pitfalls. Your credit is an important part of your finances, and you don’t want to jeopardize it. And, if it is already in trouble, you want to start improving it right now. Make a plan to boost your credit in 2013, and you will be in a better position to save money over time. The lunchroom at my work is a boisterous place where people I only know casually reveal too much of their personal information. Many people pay very high rates on credit cards and pay much higher rates on their lines of credits than I do. It is because they are not responsible with their money. A big part of my money education – the part about learning what NOT to do with money – comes from my lunch room buddies. We order our free credit reports each year and it’s not so much to see our credit number more so to see if the information is accurate. With identity theft always in the news it’s crucial just to check and make sure everything that is on it should be. If it’s not,like you mention get it changed and fast. Making payments on time is a good idea as well as it will state this data on the credit report.